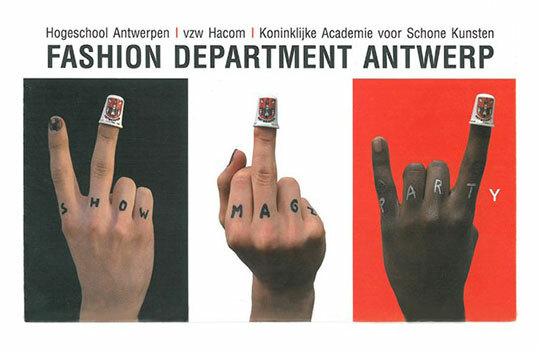 The Fashion Department of the Royal Academy of Fine Arts of Antwerp presents each year its annual graduation show. Students from all four years show their work on the runway, for the eyes of a multi-background audience comprised of fashion experts, former students, manufacturers and vendors and of course the professional international jury of the Academy, who judge the contestants’ collections and installations. Vassilis Zidianakis has been invited by Linda Loppa, head of the fashion department at the Royal Academy of Fine Arts, to act as a member of the international jury of 2006 Graduation Show, along with Bernhard Willhelm, Jutta Kraus, Myung Il Song, Barbara Vinken, Geert Bruloot, Gerda van Ravenstein, Jesse Brouns, Minako Norimatsu, Vincenzo Scognamiglio and Anne Chapelle.